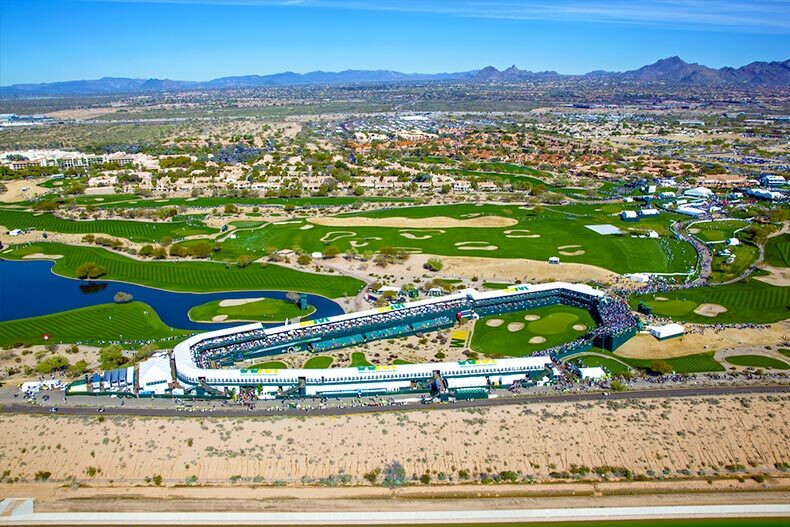 Scottsdale residents have access to dozens of golf course nearby, including TPC Scottsdale. Most people know Arizona is a popular state for active adults and retirees. Its warm, dry climate, endless recreation opportunities, and prime shopping and dining make it a desirable state to settle down. On top of that, Arizona is an ecological and culturally diverse state with many different regions that appeal to a variety of active adults. While the Phoenix metropolitan area is the most populous region of the state, there are so many more cities to check out before making your decision. Whether you want the artsy, eclectic vibes of Tucson or the scenic views of Green Valley or Northern Arizona, there is bound to be a region that fits you best. So if you’re considering Arizona as a retirement destination, here are some of the top spots you should consider. Located in Southern Arizona, Green Valley was originally founded as a retirement community and retains that status today. While that’s obviously a plus for those looking to find an active adult home, Green Valley comes with more than just its 26 active adult communities. The area is also home to several popular recreational spots, including Coronado National Forest, Desert Meadows Park, and Quail Creek-Vertents Municipal Park. The mountainous landscape of Southern Arizona provides residents with scenic views and plenty of hiking opportunities. Other places to visit include Historic Hacienda De La Canoa Ranch and the Titan Missile Museum. While surrounded by nature, Green Valley includes a good selection of dining, shopping, and entertainment options. Not to mention, retirees have an incredible variety of age-restricted communities from which to choose. That means the region comes with everything active adults desire, including living among peers, private amenities, ample healthcare options, and a variety of clubs, groups, and classes. The Phoenix area has long been a popular spot for retirees, and really you can’t go wrong with most of the city’s suburbs. Mesa, Gilbert, Goodyear, and of course, Sun City. All provide active adults with a relaxing, warm retirement. One suburb that stands out among the rest is Scottsdale. It’s home to seven different active adult and active lifestyle communities, as well as world-class shopping, dining, and entertainment options. It’s also a popular spot for outdoor activities, including at Camelback Mountain, Papago Park, and McDowell Sonoran Preserve. There’s also dozens of golf course nearby, including TPC Scottsdale. The city’s swanky lifestyle and endless leisure possibilities make it a great place to spend your retirement. If you’re looking for an active, outdoor-focused retirement look no further than Prescott. Located 100 miles north of Phoenix, Prescott is right in the middle of some of Arizona’s most popular natural spaces. Its location provides the city with a more mild climate than the southern part of the state. Prescott sits in the Bradshaw Mountains so its high elevation means the city sees more rainfall than most of Arizona as well as summer temperature averages in the 80s and winter averages in the 50s. There’s an incredible variety of recreation spots nearby, whether you want to hike one or take in a few. Coconino National Forest, Prescott National Forest, the Peavine National Recreation Trail, and several waterways are all nearby. Cultural options nearby include Sharlot Hall Museum, Smoki Museum, and ‘Tis Art Center and Gallery. Active adults will also find plenty of golf course, medical centers, restaurants, and shops in Prescott. Located between Phoenix and Green Valley, Tucson provides residents with the best of both worlds. If you want to be near the metropolis of Phoenix while also living at a slower surrounded by culture and nature, Tucson is perfect for you. The city is a good mix of entertainment, outdoor activity, and culture. Throughout the year residents enjoy several art festivals and street fairs. Nearby is the Saguaro National Park, Sabino Canyon, and Tohono Chul Park. The area is actively proud of its history with iconic architecture like that found at San Xavier del Bac. Besides that, residents enjoy multiple golf courses, healthcare convenience, a variety of restaurants, and plentiful shopping options. Those who are looking to continue their education will love being near the University of Arizona, as well.